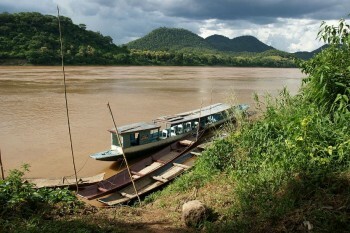 The government had previously claimed that building work had halted following concerns from Cambodia and Vietnam that the project would have major detrimental consequences for downstream agricultural communities and the river’s migratory fish populations which include the Mekong Giant Catfish, Pangasianodon gigas. The $3.5bn (£2.2bn) project is mostly funded by Thai enterprises, with the majority of electricity it would produce already pre-purchased by Thailand. Despite an existing agreement between the four countries that no work would be carried out pending the results of a joint study into the dam’s potential transboundary impacts it appears that construction has continued on an illegal basis. A formal ceremony marking the start of construction will be held on Wednesday, said the Laotian government, the announcement coming as an Asia-Europe summit begins in the capital, Vientiane, on November 5th. Xayaburi is the first of 11 dams planned in the lower Mekong between now and 2025 which the Mekong River Commission say would turn 55 percent of the river into reservoirs, result in estimated agricultural losses of more than 500 million USD per year, and reduce the protein intake of local people by up to 30%. The new announcement comes just days after Cambodia approved the controversial ‘Lower Se San II’ dam on the Se San river, a tributary of the Lower Mekong.